Automatic constraint enforcement is a useful and powerful feature, but sometimes there are reasons to defer enforcement, as examined in depth here. Writing a proper SQL UPDATE query involving multiple tables in Postgres can be tricky and counterintuitive. Here’s a look at a particularly tricky example and the overall concepts. 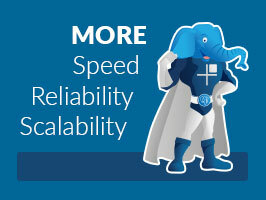 Supercharged PostgreSQL for your Enterprise. Offered exclusively to 2ndQuadrant customers, 2ndQPostgres includes quality-assured features not yet available in community PostgreSQL - giving you access to cutting-edge features with no lock-in. A survey of five sharding approaches and what factors could guide you to each approach. A PG distribution integrated with lots of components and includes support for giving Postgres’s query planner ‘hints’ (or demands, really) of which indexes to use. What Tables Will Be Vacuumed At The Next Autovacuum Cycle? Which tables will be ‘vacuum’ed soon? Here’s a query that tries to figure it out. It’s possible to keep an eye on what a lengthy ‘vacuum’ is doing using tools available on most Unix-like systems.